Blogging has kind of been left by the wayside. . . too much to do and too little time in which to do it! I've been working on some new things for the shop and playing around with new patterns. I had a baby shower gift to make and purchased a pattern from 'You Can Make This' to create something. 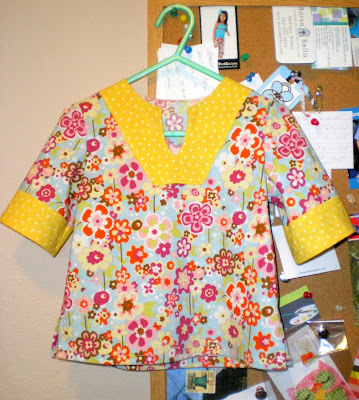 I ended up getting the Sophie Tunic pattern and LOVE it. The instructions are awesome and very easy to follow. The pattern includes size 6 months to 12 years, so I think you are definitely getting your money's worth. I also tried out another pattern. . . neither purse or clothing related and I am thrilled with how it turned out. However, it is a surprise for a friend and can't post photos of it yet. Soon. . . and I'll let you know all about the details. 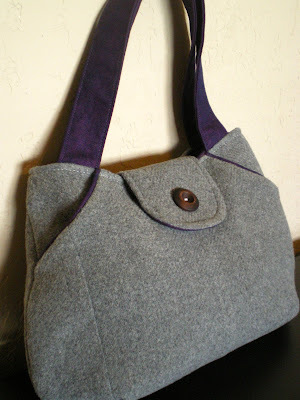 I think it would be a great beginner project if you have been toying with the idea of taking up sewing. Fall television is gearing back up and I'm having to fit that into the schedule as well! I know, tv is bad for my brain and all, but it's one of my few guilty pleasures. That and Coca Cola. Have you watched Glee???? You're missing out if you haven't. Along with fall tv, fall weather has finally made an appearance!!! Fall is MY season. It puts me in a great, productive mood which is perfect since Christmas is coming up soon and I've lots to do. I am actually going to San Diego next March to visit a friend! So look forward to seeing a new place. I traveled lots growing up but have been rather anchored in one place since becoming an 'adult'. I'm sure that come March I will be really ready for a break from the cold weather.